DDA partners with HAWCA to support women and children in Afghanistan. As the United States makes plans to withdraw thousands of troops from Afghanistan in the coming months, Afghan women and children continue to be at extreme risk of violence in their communities as well as in their homes. Zulikha was regularly raped by her alcoholic father in rural Afghanistan. Instead of helping to protect her, her husband made the abuse she endured worse. He beat her too and insisted that she obey her violent father. After some time Zulikha managed to escape and get help from Humanitarian Assistance for the Women and Children of Afghanistan (HAWCA). HAWCA is demanding that both men be imprisoned and that Zulikha be given a divorce. 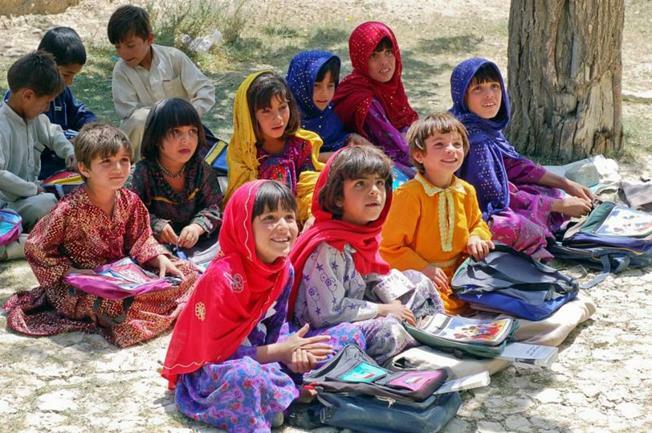 Girls getting educated at HAWCA’s shelter, Afghanistan. Shazia, another Afghan woman, didn’t manage to escape. She was murdered by her abusive husband, who threw her body in the gutter. He claimed it was an “honor killing”. In fact he had gambled away her jewelry and tried to conceal his mistake. In this case HAWCA secured a 20 year prison sentence for the culprit – ensuring justice in memory of Shazia. Afghanistan is one of the most dangerous countries in the world to be a woman. HAWCA is doing everything it can to change this. Please support them in their ground-breaking work, which victims of violence so desperately need. Your gift could make the difference between safety and fear – even life and death – for Afghan women and girls. Your help to girls like 10 year old Sahar is invaluable! The most dangerous country in the world to be female?